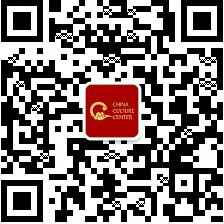 RMB400/per person for a group of 9 and more. 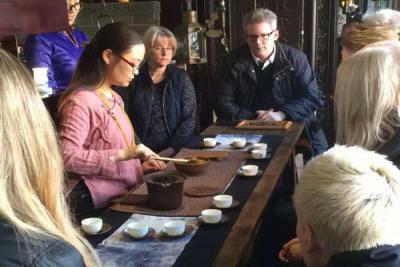 * All major category of tea-tasting mentioned in the program: morning: white, green and oolong tea tasting; afternoon: black tea and two types of Pu'er tea tasting. You will have a lunch break. (Nice restaurants will be recommonded but not included in the price). * Hotel/home pick-up & drop-off service with quality, air-conditioned vehicle. 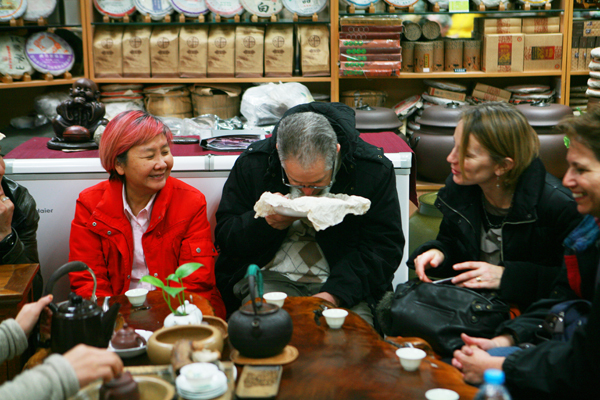 Tea-drinking is a significant culture in China. Book yourself a tea-tasting and learning tour with us to the largest tea market of China - Maliandao in the southwest Beijing –a long street lined with thousands of tea wholesaling stores. 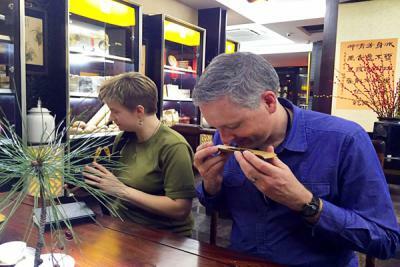 We start the day with tasting high grades of fresh and light tea - white peony (white tea) and dragon well (green tea), then try the oolong tea Tie Guan Yin. 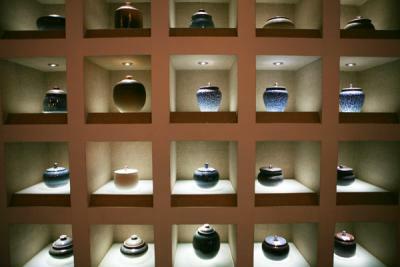 Tea origins, processing knowledge will be explained as well as kungfu tea ceremony and its complicated tea sets. 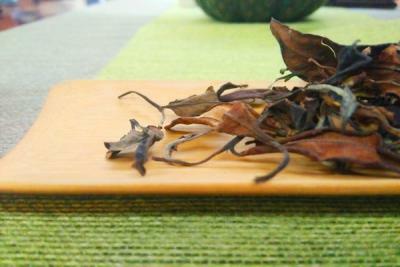 Then visit another store to learn darker and earthier Pu’er and black tea. In the end, free time to shop around for tea, tea sets and gifts before heading back. 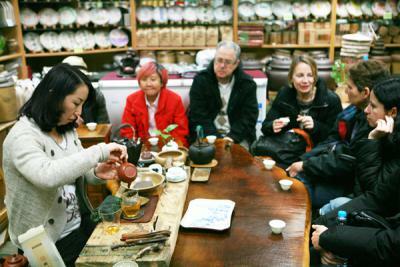 Note: If you wish to gain a more in depth knowledge, we recommend you our monthly "Seasonal Tea Tasting"event at CCC, which would give you an opportunity to learn about various tea introduced in the Maliandao Tea tour in more detail.